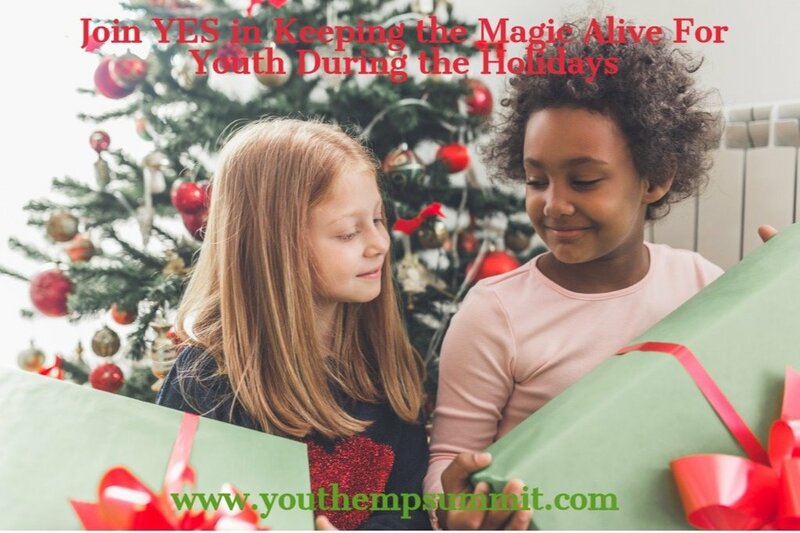 Most families dream of experiencing “the most wonderful time of the year” during the holidays. However, what about others who view the holiday as just another day of the week? Many children and their parents, this time of year may be depressing, stressful or simply go by unnoticed due to more pressing challenges. Below are just a few stories of the children in our community who might not otherwise get to have a happy holiday, and this is just one way to provide a moment of happiness to a child undergoing a uneventful moment, whether it’s poverty, illness or a natural disaster. 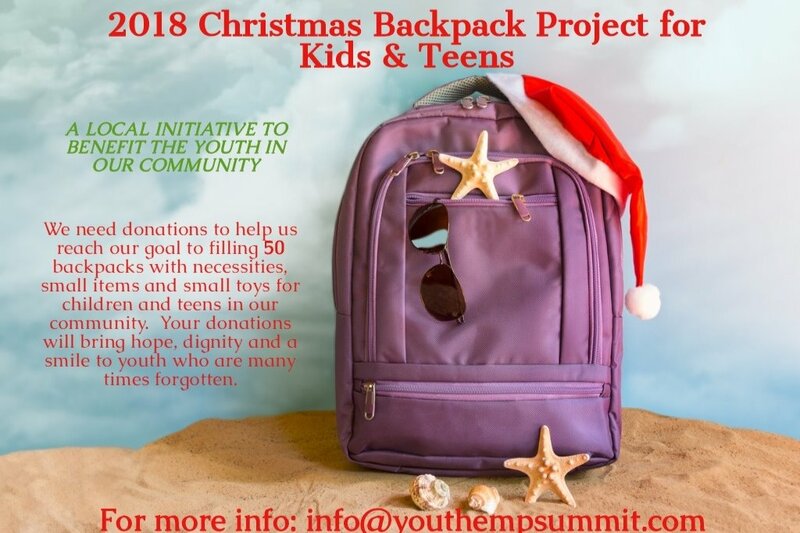 These children and families are extensions in our community to Youth Empowerment Summit-YES as we request support from our friends and associates who willingly give to other organizations throughout the Jacksonville and Beaches. We would like to introduce you to a few of the YES family members and youth that struggle each day to survive their life of stress and poverty. Let’s include them in our thoughts for this holiday time of giving. Jonah, 14 years old. Has six siblings, His Mom miraculously survived a gun-shot to the head last year. Although he was physically abused by foster parents, has been a trooper for brothers and sisters and with Jonah being the oldest, struggles to ensure his sisters and brothers are all fed and taken care of before he goes to school each morning. Joel, 17 years old, abandoned by mom and dad, taken in by a grandparent who is wheel chair bound, Joel is responsible for cooking him breakfast and dressing his grandparent before he goes to school. He pays a neighbor to watch his grandfather while in school from monies he makes from small jobs he can get around the school. He wants to attend community college to study agriculture to try and provide better care for his Grandfather. Katie, 15 years old, Autism Spectrum, Transgender youth. Gender identity strongly influences the likelihood a teen will attempt suicide, impulsivity along with inhibition tendencies a new study finds. Nearly 14% of teens who participated in a survey reported trying to kill themselves, with transgender teens reporting the highest rates of suicide attempts. Among female to male teens, the language the study uses for transgender male teens, more than half (50.8%) said they'd tried to take their lives, according to the study, published Tuesday in the journal Pediatrics. When you add Discrimination, victimization, and rejection, the percentages increase. *We can only accept new items *Please provide all backpacks filled and labeled or gifts unwrapped. or on Friday, December 14th @ Adele Grage Community Center 716 Ocean Drive Atlantic Beach, Florida on Wednesday 3:00 pm - 6:00 pm to ensure they are able to be delivered to the children before Christmas. We will also need volunteers to help us stuff all of the backpacks to make sure they are delivered on time. We will collecting and begin stuffing December 12th and commence December 14, so we need plenty of helpers! We hope that we can count on your support to fulfill the wishes of the children currently in our community that are in need. With your help, we can make sure that this holiday season is a merry one for these deserving children. Please remember that there are many vulnerable communities that do not have national organizations dedicated to them, but that still need donations this holiday season.